Current position: Head of Division for Coordination of Translation and Terminology of Acquis/Department for EU Law/Ministry of European Integration . "I am very fortunate that I was among the students that were granted with the YCS Scholarship as this scholarship helped me to continue my studies in one of the most reputable European Universities. Besides having the opportunity to choose among the best universities, I also got to finish a master progamme that is applicable in assessing the very actual and important decisions through the use of economic analysis. 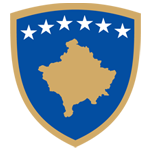 After the completion of the programme, I became part of the Kosovo public administration and continue to be so. Through this I am part of various activities related to the harmonization of Kosovo’s legislation with the EU acquis and also the drafting of strategic documents. Moreover, starting from the upcoming year I will also be involved in the process of meeting the obligations that arise from the SAA". Current position: Senior Officer for Quality Infrastructure and Notifications, Ministry of Trade and Industry . “YCS scholarship scheme opened the doors for me. After completing the studies at the Law Faculty in the University of Prishtina, I ended up living and studying for Masters Degree for one year in Hamburg, Germany. This helped me develop both professionally and personally. As a result of the scholarship, I got such an experience that is now being translated into concrete steps to support the Ministry of Justice in fulfilling the obligations for European Integration and I am happy to be part of this”. Current position: Senior Legal Officer- Ministry of Justice . Current position: General Secretary of the Ministry of European Integration . "Young Cells Scheme is a unique and life changing experience. It gives you the remarkable opportunity of studying in developed countries where you educate yourself at the most prominent Universities, an opportunity otherwise hardly possible for young Kosovo students. It also assists you directly to launch your professional career by providing you the possibility to work for the public institutions at the central or local level where you contribute professionally for the European integration process and beyond. Above all, it educates you on the European values of human rights protection, equality, rule of law and many more, which follow your personal and professional life persistently!" Current position: Senior Legal Office, Ministry of European Integration .